Player of the day- Steven Gerrard plus My hatred for ITV! England have won Group D after beating Ukraine while France couldn’t get the win they needed as they lost against Sweden however they still qualified. France decided to play a few of their fringe players with Hatem Ben Arfa and Yann M’Vila who have hardly kicked a ball this tournament getting a start and Laurent Blanc’s gamble did not pay off. For me the big mistake was leaving out Yohan Cabaye who had been in superb form so far and is someone who I consider to be undroppable at both club and international level. Zlatan Ibrahimovic and Sebastian Larsson scored the goals and they sent their fans home happy. France will now face Spain in the quarter finals. The England game wasn’t the most exciting and their fans will take confidence from the result however their performance still wasn’t great going forward even with the returning Wayne Rooney in the starting 11. The first half showed England struggle to break down teams that aren’t the best at defending and when they did take the lead early in the second half, it was largely down to a mistake from the Ukrainian goalkeeper Andriy Pyatov. However, it is worth saying that the cross from Steven Gerrard was fantastic and Wayne Rooney had to be in the right position to header home. It wasn’t the most exciting game but England were very lucky when the ball seemed to cross the line before John Terry managed to clear. How the fifth official missed it I will never know and it just shows that they actually are pointless and do nothing. Also, it looked as though the ball hit John Terry’s hand later in the half but that also wasn’t given. Man of the match- Steven Gerrard- It wasn’t the greatest performance from England but their captain showed his worth by supplying the cross for the goal and putting in a number of other threatening crosses. He linked up well with both Rooney and Danny Welbeck at times and that will be important against better teams. Plus, his partnership with Scott Parker is getting better and better by the game as they know where the other is on the pitch and if they should go forward or sit back and protect the back four. 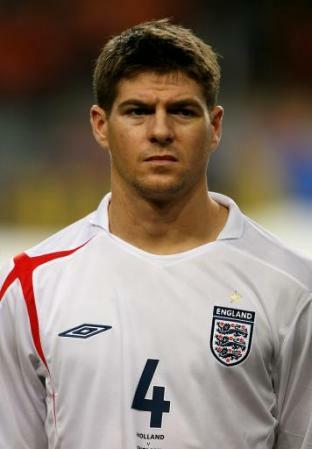 It is refreshing to see Gerrard playing well after all the years of seeing him struggle alongside Frank Lampard. He has easily been England’s stand out player this tournament already and he is finally showing his true ability at international level and is a fantastic example to everyone when he is on the pitch. 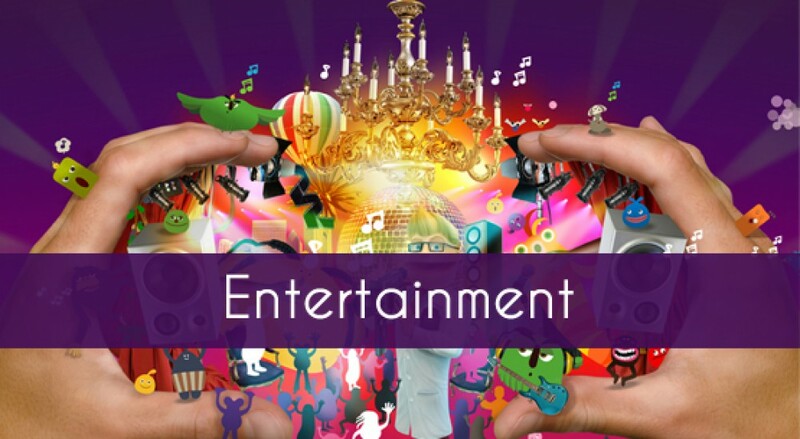 Finally, I would just like to say I really hate coverage of the England games, especially on ITV as the commentators aren’t impartial at all and try to claim that England are the best thing in world football. They are not and they think every player is brilliant. They don’t even care that much about the opposition and will not even give them that much credit. They hardly talked about Ukraine when their shot crossed the line, instead they focused on how well John Terry did to get back into the right position but who cares about that, he didn’t stop the goal and if the fifth official was awake or we used goal line technology then it would have been a goal so why praise him? Then instead of saying that would have changed the match, they talked about the Germany game at the World Cup. Football doesn’t revolve around England and it is no wonder England fans are always naive and think they can win big tournaments. I support England but I hate the way ITV portrays the players and it really makes me hate watching the national team and that is without even mentioning Adrian Chiles. Sweden are the second team to be knocked out of Euro2012 after their 3-2 defeat to England while France beat Ukraine. The first game was suspended after the fourth minute because of terrible weather conditions and it eventually got under way almost an hour later. The first half saw both teams come close but neither could really take control of the game, although France had more of the possession they couldn’t quite carve the Ukrainian defence open. However, early in the second half the game was all but over after two goals in three minutes from Jeremy Menez and Yohan Cabaye. Both goals were finished off brilliantly after some wonderful passing. Cabaye deserved his goal and once again was sublime in the centre of the midfield and along with Andrea Pirlo, has been the most consistent player in the tournament. Ukraine had a few half chances but couldn’t find a way past Hugo Lloris in the French goal. 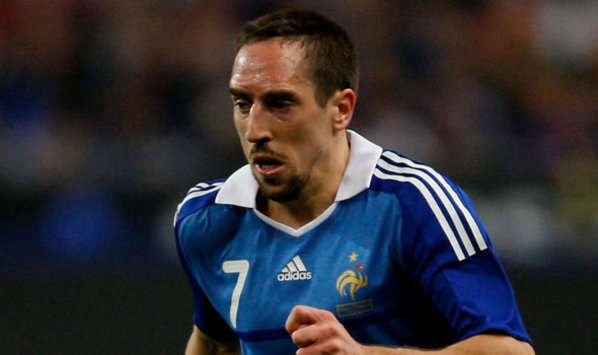 Man of the match- Franck Ribery- The Bayern Munich winger was in and out of the game but whenever he had the ball he frightened the life out of the Ukraine defenders. His pace was crucial in the first goal and he looked the most likely all through the first half to open the scoring. France’s other flair players were slightly disappointing in my opinion with Samir Nasri never getting out of first gear and Menez being very wasteful at times. Ribery was the one that added some much needed creativity to the game and outshone the rest. England managed to beat Sweden in a thrilling game with both teams pushing forward for the win. Andy Carroll gave them the lead with a good header from an accurate cross from Steven Gerrard and England seemed in control without every really posing a threat. The second half was very different as the Swedes knew that defeat would mean they were eliminated from the competition and when Glen Johnson couldn’t clear an Olof Mellberg shot, they looked confident and were forcing the issue a lot more and then Mellberg once again popped up from a free kick to score a header. 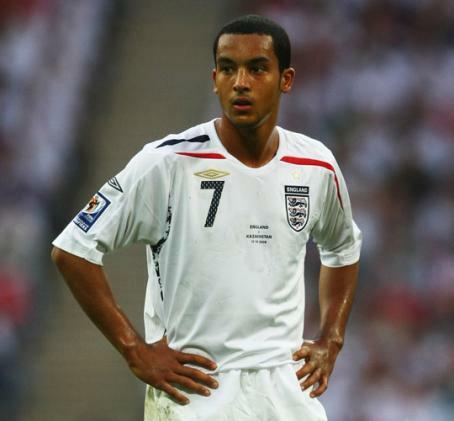 This left the England fans with a feeling of oh no not again but Roy Hodgson made a positive substitution and brought on Theo Walcott who scored with one of his first touches. Goalkeeper Andreas Isaksson should have done a lot better though. The winner was scored by Danny Welbeck who flicked in a Walcott cross with an inventive effort that not many other players would have been able to pull off or even try. Man of the match- Theo Walcott- He may not have been on the pitch for that long but he changed the game and proved to be the difference between the sides. James Milner hadn’t been able to get much out of the fullback Martin Olsson but he looked awful against Walcott. His goal may not have been the best but at least he had a try and it lifted everyone. For the Welbeck goal he was vital as he picked up the ball and was very direct, driving at the defence and pulling the ball across for the Manchester United striker. He may not have been involved a lot but when he did have the ball he caused problems and maybe will get a chance to start in the next game. England kicked off their European Championship campaign against France and co-hosts Ukraine took on Sweden in Group D.
The England fans were not the most optimistic before the game but afterwards they should be quietly confident they can beat both Ukraine and Sweden to qualify for the knockout stages. France had more of the ball and looked the more threatening but on the counter attack Alex Oxlade-Chamberlain, Ashley Young and Danny Welbeck caused problems for the French defence. Joleon Lescott scored the opening goal from a fantastic Steven Gerrard free kick and this capped off an impressive first 30 minutes for the team. James Milner had went close after rounding the keeper but he could not finish but after the goal France took control. Samir Nasri grabbed an equaliser with a long range effort which Joe Hart arguably could have done better with. The second half was all France and Karim Benzema had two efforts from distance that needed saving. Man of the match- Yohan Cabaye- The Newcastle midfielder ran the show and has added another couple of million pound to his price tag after such an impressive performance. He may not have stood out to some people as he didn’t take players on or get into really threatening positions but he kept the ball for his team and stopped countless counter attacks. He completed 43 of his 46 passes which is impressive by anyone’s standards and he certainly wouldn’t have looked out of place in the Spain side with his intelligent passes. He was unlucky not to score when his volley was just deflected wide but he was also lucky to escape without a booking as he did commit quite a few fouls. Co-hosts Ukraine are now top of the group after beating Sweden 2-1 and looking very impressive, they kept the ball brilliantly and very imaginative in some of their play. Wingers Yevhen Konoplyanka and Andriy Yarmolenko were impressive and they tried to take on their fullbacks and put crosses into the box. But it was Sweden who opened the scoring with a goal from the inconsistent Zlatan Ibrahimovic. He finished off a move he started, and it looked as though they would go on and win the game comfortably but Ukraine had other ideas. Two headers from Andriy Shevchenko changed the game around and it left Sweden desperate to find equaliser towards the end with Olof Mellberg and Johan Elmander missing very good chances. 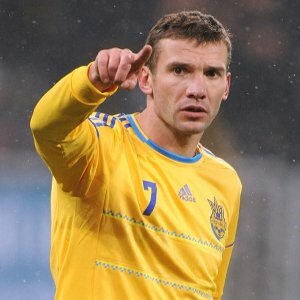 Man of the match- Andriy Shevchenko- He was already a national hero and now he will be considered a god in his homeland. The striker showed his fantastic ability and his movement was second to none in the tournament so far, the way he got away from Mellberg for his first was wonderful and getting in at the near post was genius from the former Chelsea man. His best days may be past him but he showed that if he is given a chance he will put it away, so France and England need to make sure they don’t give him a sniff. Newcastle United have signed French midfielder Romain Amalfitano as they look to add depth to their squad for next season. The club are obviously wanting to get their squad together for next year as they will be competing in Europe and will be hoping to progress quite far in the Europa League while still being competitive in the Premier League. The signing of a midfielder suggests that some players are going to be leaving later in the summer. Danny Guthrie’s contract is up and although I think he should get a new contract, the player himself probably wants to leave to get more first team chances as he is behind Cheick Tiote and Yohan Cabaye in the pecking order. With this news, he will most certainly be going and I’m sure he would have been a very good squad player which another team can take advantage of and he is currently being linked with Sunderland. The signing also adds to the speculation that Dan Gosling could be leaving as he has been continually frustrated that he hasn’t played that often and been restricted to substitute appearances. Since signing in 2010 he has only played 13 league games due to the fact he has had a lot of injuries and has been overlooked by Pardew many times when he has decided to play James Perch in the middle of midfield. So onto Amalfitano himself, he is yet another player that has signed for the club that nobody knows and will be hoping to emulate the performances of players like Cabaye and Tiote. He is regarded as player with a lot of potential and now that he is 22 he also has enough experience to be able to cope with the move to England. 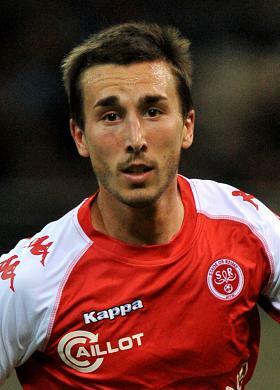 The attacking midfielder will join the club on the 1st July after his contract expires at Reims. He has previously played for Evian and looked as though he was going to make an impact in the French leagues with some impressive early performances. He managed to score three goals 22 appearances. Looking at his abilities and he is definitely a confident player that can change a game as he has a very good first touch and can see a pass. He also has a good strike on him and likes to try long ranged efforts. But his best attribute is his ability to break into the box at the right time and finish off chances, he is a similar player to Frank Lampard and if he can adapt to the Premier League quickly he could become a vital part of the team and could be crucial in coming off the bench and grabbing an equaliser or a winner. This season he helped Reims get promoted back to the top French division and he will obviously join Newcastle with a lot of confidence and will be helped by Hatem Ben Arfa, Yohan Cabaye and Demba Ba who will all help him settle in. Hopefully this will be a signing to add to squad depth rather than replace one of their starters because their current first 11 have been linked away from the club. Is Jordan Henderson a flop for Liverpool? So Liverpool beat Manchester United 2-1 and this should have been important enough to write about but something else caught my attention and that is why does Andy Carroll get so much stick because of his price tag when Jordan Henderson doesn’t get slated anywhere near enough. He simply has not been good enough, when it comes down to it, he just doesn’t perform in the big games and remains an anonymous figure for virtually the whole game. You could put it down to nerves because he is only 21 but when you play for Liverpool you have to grow up quickly, and yes he would have been under pressure and although he didn’t choose to be bought for the price he was, he still has to live up to it. £20 million for a young player is extortionate especially when he has only had two full seasons in the Premier League and yes he was quite impressive for Sunderland last season but he isn’t good enough at the minute to be playing for a top side and he should have stayed in a mediocre Sunderland team and been a big fish in a small pond but fair play to the lad he was ambitious and did want to improve his chances to play for England. However, this move seems to have put his career in reverse as he is not playing very well and if stayed at Sunderland he would have stood out and caught the eye of Capello yet again. He has got one cap for England when he started the game against France which yet again he failed to perform and looked like a fish out of water. Yes again you can put it down to nerves but the best players thrive under pressure and he failed to deliver unfortunately and now it seems he is way down the pecking order. The 21 year old has been given a great chance of competing in the world’s best competitions in a very good side and he has scored a Premier League goal against Bolton Wanderers but this has been his only meaningful contribution to the side. However, in his defence most of Kenny Dalglish’s signings haven’t exactly lived up to their price tag. Andy Carroll, should never have been bought for £35 million and will never be worth that much although he probably should have played better than he has so far. Charlie Adam, another player like Henderson that performed for a team with lesser ambitions than Liverpool and hasn’t quite recaptured his form. A debatable one is perhaps Luis Suarez because the Liverpool fans think he has played brilliantly and is one of the best players in the Premier League yet his stats would say differently, he has only scored five goals and only has three assists this season. I know it’s not all about stats but when I have seen him play he has missed numerous chances and seems more interested in arguing with officials and opposition players which got him in trouble and got given an eight match ban after an incident with Patrice Evra. He reminds me of Craig Bellamy but if they were both running through one on one with the keeper I would be far more confident in scoring if it was Bellamy. So who is to blame Kenny Dalglish or the individual players?